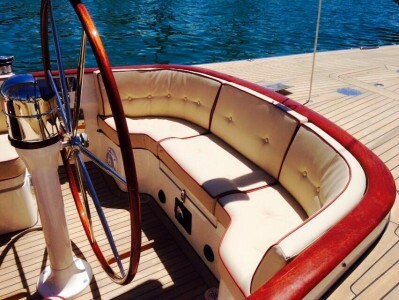 Nautic Decor in Palma de Mallorca are a highly recommended marine upholstery company, whose services include all upholstery, interior and exterior covers, bespoke linens & carpets, and even vehicle interiors. They are dedicated to quality, timing & commitment. This ‘ex-Captain’ came highly recommended to us again last season, for his leatherworks, belts and more! Highly recommended by those based in the Subic area for upholstery, soft furnishings & leather work. Hubert Couraud is the owner of this well renowned upholstery / canvas specialist company. Hubert has great experience in ‘fine upholstery’ and works meticulously. They are experts in fine leather or alcantara work; and Hubert and his team can also custom make exterior canvas using the best fabrics and foams.